Maki Iizuka (Nozomi Sasaki) works as an editor for a wedding magazine in Tokyo. She is set to marry Kazunori Nakamura (Yuta Hiraoka) next month, when her grandmother dies. Her grandmother was like a mom to Maki. While Maki arranges items left by her grandmother, she discovers a box made from empress tree. The box contains a white bridal Kimono and marriage registration forms. The marriage registration forms are mostly empty, except for the name "Soichi Akiguni" filled into a blank. Maki becomes curious about Soichi Akiguni and decides to go to her hometown Izumo in Shimane Prefecture. There, she meets a young fisherman. 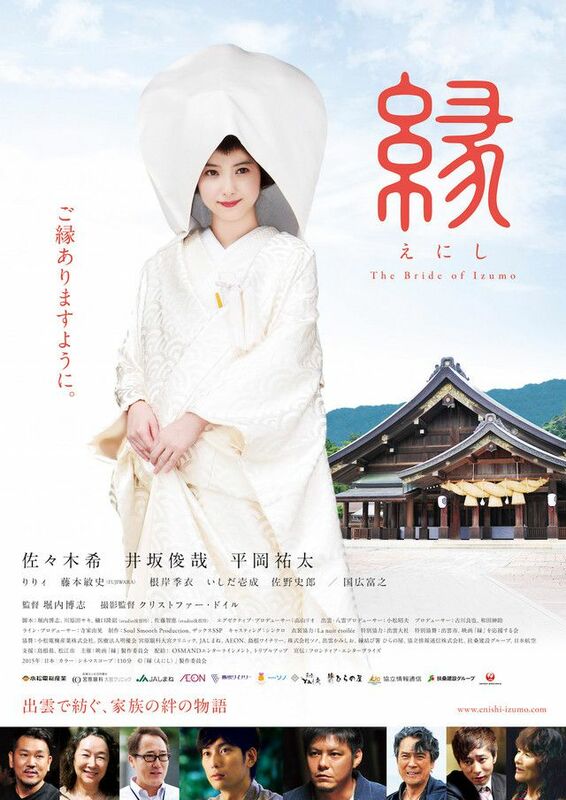 Filming began July 6, 2014 in Tokyo and from July 12, 2014 films in Izumo, Shimane Prefecture. Filming is expected to finish on August 10, 2014. Daiki (Dikei in indonesian) Dec 16 2014 4:29 pm Too long for waiting new film of Nozomi Sasaki..